Pyorrhea is a very common condition of the teeth which affects the tissue surrounding them. This tissue is known as periodontium giving pyorrhea its other name ‘periodontitis’. 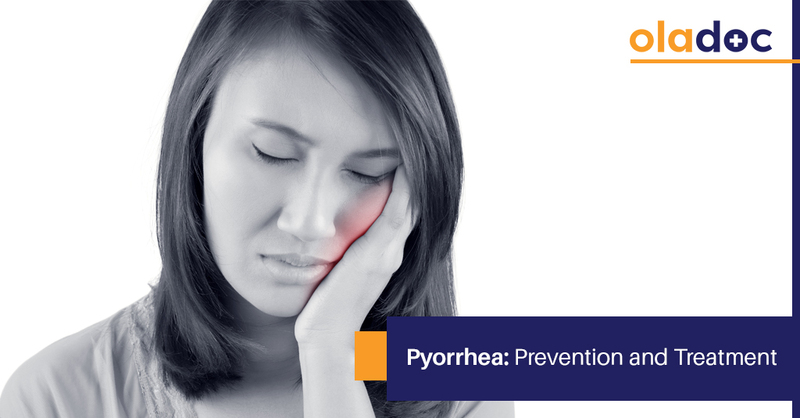 In most cases pyorrhea often occurs due to poor dental hygiene but some other conditions such as diabetes and vitamin C deficiency can also be behind its onset. Pyorrhea is curable and can be fixed by following some common dental hygiene routines but an early diagnosis is essential. The treatment should start right after the diagnosis as this condition can cause tooth loss if left untreated for a long time. In this article, we are breaking down symptoms of Pyorrhea for you, so that you can get medical assistance in time and save yourself from potential tooth loss. Gums can get inflamed when teeth are not brushed regularly and as a result the blood vessels in the gums burst. This inflammation weakens the tissue surrounding the teeth and the gums swell up. Gums can also get inflamed due to chemicals that are inhaled during smoking. If the dental hygiene is not improved after the inflammation of the gums, the bone name alveolar may also start to decay which ultimately leads to tooth loss. Pyorrhea has different symptoms which keep on appearing as the disease progresses. Some of the main symptoms that appear early on are as follows. Redness: One of the initial signs of pyorrhea is redness in the gums. The redness can be seen while brushing or flossing the teeth or even while chewing hard food items. Sensitivity: Pyorrhea is a painful condition as the person suffering from it has a hard time eating because the gums turn sensitive to hot and cold. Bleeding: Another name for pyorrhea is ‘bleeding gums’. The gums bleed frequently and the person suffering from this condition may spit blood while brushing his teeth. Breath: Pyorrhea is likely to give continuous bad breath to its sufferer. Anemia: If young or pregnant women get pyorrhea then they are likely to suffer from iron deficiency anemia. If all of the above symptoms have appeared and the condition is still left untreated then the bone surrounding the teeth will also decay ultimately causing tooth loss. To treat pyorrhea the patients are made to brush their teeth three times a day. The dentists prescribe some special toothbrushes to these patients so that the bacteria growing in the teeth can be removed properly. Patients are often advised to use mouthwash for a rapid recovery. As far as prevention goes, dental hygiene routines cannot be emphasized enough. Brushing and flossing regularly are the keys to healthy teeth but a dental hygiene routine is not complete without regular visits to the dentist. If you are experiencing symptoms of pyorrhea in your teeth, visit a dentist as soon as possible. You can also book an appointment with top dentists in Lahore, Karachi and Islamabad through oladoc.com or call our helpline at 042-3890-0939 to get directed to the specialists that can cater to your specific concerns. « Pregnancy Cramps Cracked: Why cramping occurs during pregnancy?